(AFP) – Israeli tank fire struck a Hamas post in the Gaza Strip on Wednesday after a rocket launched from the Palestinian enclave hit a nearby Israeli city, with no casualties reported on either side. The rocket hit the Israeli city of Sderot, part of which lies less than a kilometre (less than a mile) northeast of the Gaza Strip, run by Islamist movement Hamas, the Israeli military said. The area was closed off and bomb disposal teams were working at the site, police spokesman Micky Rosenfeld said. A small Salafist group — followers of an ultra-conservative brand of Sunni Islam who oppose Hamas — claimed responsibility for the attack. “Thanks to God, the so-called Sderot settlement was targeted by a homemade rocket,” the Ahfad al-Sahaba group said in a statement. The same group has claimed responsibility for other recent attacks but Israel holds Hamas responsible for all such rocket fire. Shortly afterwards, Hamas security sources said Israeli tank fire struck a post run by its military wing, the Ezzedine Al-Qassam Brigades, east of Beit Hanoun near the border with Israel. The Israeli military did not immediately comment. The Israeli army and Palestinian militants in Gaza have fought three wars since 2008 and there are frequent flare-ups along the border. 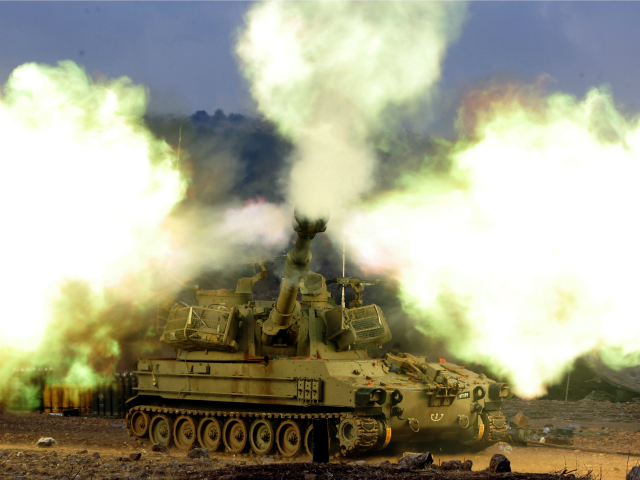 Israel often responds to rocket fire from Gaza with air and tank strikes. In August, it carried out dozens of retaliatory strikes after a rocket hit Sderot, a far larger response than usual. Israeli media reported that attack was the first time downtown Sderot had been struck by a rocket from Gaza since the last war in 2014.